Golf Garden movers can be of tremendous help if you want to move to a different location, no matter where it is. Moving is a complicated process that requires ample planning and careful execution to be successful. Without a good plan, it’s easy to lose track of personal possessions and spend money on repairs and replacements. At First Removalists, we have a team of experts who can handle different kinds of assignments easily. Clients can relax as experts take care of everything from logistics to transport. 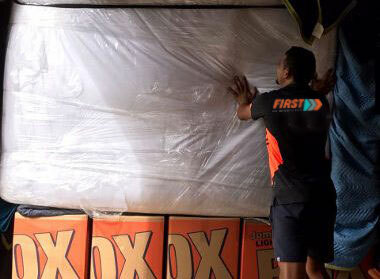 License – First Removalists is a fully licensed company with certifications from industry authorities. As an Australian business, we adhere to established international standards, making sure clients get good quality services. Insurance coverage – All moving plans are covered by comprehensive insurance. If any item becomes lost or misplaced, our insurance plan will cover related costs. This offers client’s better security and reduces their financial burden. Safe and well-trained staff – Employees go through comprehensive background testing before they’re hired. They also undergo training and gain experience under seasoned experts before handling our jobs on their own. This means you get professional cheap removals by trustworthy technicians. Logistics team – Logistics and planning is an important aspect of any move, especially if it involves crossing country borders. Our team plans every job according to client requirements, considering factors like distance, destination, size of shipment, etc. You get customised services by the most affordable removal company in Golf Garden as all client requests are considered during planning. We also have excellent customer service so you can contact expert customer care executives for more information. They’ll answer questions, help with scheduling, and planning. Our team will also provide a detailed quote so you know of all expenses involved. These quotes have no hidden costs and all prices are explained clearly. Few items – If you want to transport a couple of items like a few chairs or a single piano, this option is ideal. We will send one qualified mover along with a small van or truck based on client requirements. 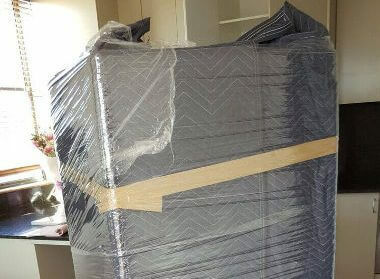 Small plan – This is one of the best cheap removals plan we have, which is why it’s so popular. Clients get four, fully-trained movers along with a small truck, which is suitable for a 2-bedroom house move. Medium plan – Clients moving from 2-3 bedroom houses or equivalent require a little more help. This option includes 4 men and a medium-sized moving truck, which is suitable for most removals. As an experienced professional removal company in Gold Gardens, we understand one size doesn’t fit all. These plans are customisable, easily altered to accommodate a client’s requirements. Just discuss what you need with our customer care executives and we’ll handle the rest. Commercial or office removals are challenging because they’re time-sensitive. Most clients want their shipment to reach its destination in a short time. This reduces downtime and impact on profits. As one of the best removals companies in Golf Garden, we have worked with many commercial clients so our team understands your priorities. Residential jobs are tricky because clients are stressed, dealing with multiple responsibilities at the same time. Our goal is to reduce this burden as much as we can by providing expert assistance. 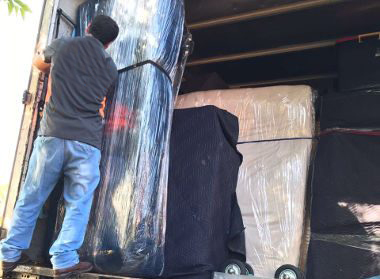 If you’re looking online for “best movers near me” for residential removals, our team can help. They can handle everything from packing and unpacking to transport. 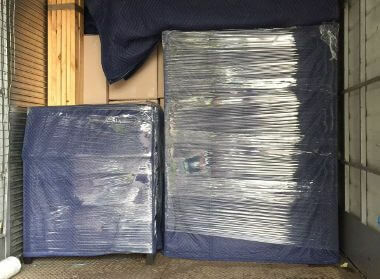 You also get a number of other services, like affordable furniture removals by Golf Garden movers, free boxes, free quotes, online cost calculators, etc. 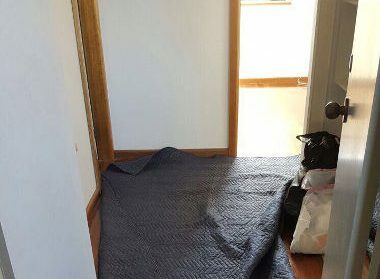 Moving furniture requires expert packing techniques as well as good planning because these items can’t be placed inside regular moving boxes. 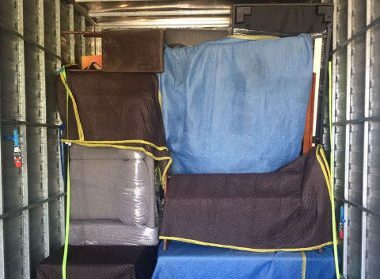 Our team handles both domestic and international removals to different locations, carrying out all jobs in an efficient manner. First Removalists is one of the best affordable Golf Garden movers. We have a great team of trained movers who can handle all challenges well. For more information, contact us through our online form or call us at 0525 633 557. The customer service team will be happy to help.